A contingent recruiter will work energetically for a week or so, but because they don’t have your full commitment, they may quickly lose interest and move on to the next client. They don’t want to put all their eggs in one basket because they don’t know which basket will produce results for them. An exclusive recruiter, on the other hand, will be fully committed to finding the right candidate for you, even if the job gets tough. An exclusive recruiter is much more willing to take the additional time to speak to passive candidates who are not actively seeking new positions. Exclusive recruiters will use all of their resources, including their professional networks and social media contacts. Their job is not done until they find the candidate you hire. Because you have the full commitment of the exclusive recruiter, each candidate you look at is going to be more fully screened. Your close relationship with one recruiter will allow that recruiter to gain a full understanding of the requirements of the position. They will screen for a good fit in terms of background, experience, skills, culture, education, communication style, and more. Screening candidates so thoroughly takes time, but an exclusive recruiter is willing to invest that time to ensure that only the most qualified candidates reach your desk. When the hiring manager has to review numerous resumes submitted by multiple competing contingent recruiters, they have less time to deal with other responsibilities. Because an exclusive recruiter thoroughly vets each candidate before submitting, the hiring manager’s workload is cut way down. Exclusive recruiters will thoroughly interview candidates to make sure they meet not only the minimum requirements, but also the ideal requirements. The hiring manager then only has to review a handful of qualified resumes before making a decision. If it’s really important to keep your job opening away from the public eye for whatever reason, working with one exclusive recruiter will ensure confidentiality. If a candidate is approached by multiple recruiters for the same job, it tends to give them a negative impression of the company. Instead, candidates prefer to work with exclusive recruiters. Furthermore, double submissions of the same candidate by more than one agency can create some awkward and confusing situations. If you want to recruit from your direct competitors, working with one exclusive recruiter can help. First of all, it takes more time and finesse to reach those candidates, and exclusive recruiters are willing to put in the extra effort required. Second, you want to avoid a war with your competitor or gaining a reputation as a poacher. Placing a third-party exclusive recruiter as a buffer between your company and the candidate can help you sidestep those scenarios. Not only are you exclusive to your recruiter, but they are exclusive to you, too. Contingent recruiters will often present good candidates to multiple clients at once, which can result in a bidding war for talent. You may even lose out on an ideal candidate as a result. An exclusive recruiter, on the other hand, will submit candidates only to your company and work to convince top talent to accept your offer above any others. Sometimes you may have to pay slightly more for an exclusive recruiter, and you frequently need to make a partial upfront payment, but more often than not, you’ll end up with a superior hiring process for what is about the same cost as hiring multiple contingent recruiters. There may be times when hiring multiple contingent recruiters better meets your needs, but if you have a really important position to fill, a short time in which to fill it, and a strong need for high-quality talent, then hiring one exclusive recruiter may be the best way to go. Submit an inquiry here: Submit Job Order. 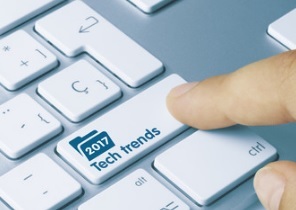 When nearly 200 IT leaders were surveyed about their 2017 technical recruiting plans, here is what was found. They expect technical recruiting to slow down slightly. They expect to keep recruiting needs down by automating and using technology as much as possible to get the job done, educate, help make decisions through technology, etc. They expect Tech spending compared to 2016 to cool off slightly. They plan to use software to work better and faster. Even though technical recruiting may taper off a bit, they still expect continued hiring needs and there will still be hard to find technical skills that will be in demand. The top three skill areas that will still be in high demand according to this survey are 1) Security 2) Programming/Application Development and 3) Business Intelligence/Analytics. Technical Recruiting in these areas will continue to be strong. Contractors with SaaS or Cloud experience will also be in high demand. Companies more and more will outsource much of their IT Development work. Visualization technologies will also be in demand. High-Tech Professionals recruits and staffs for companies in technology specializing in Engineering, IT, Sales and Marketing, and Project and Executive Management positions. Whether you’re looking for candidates or looking for a new job, the technical recruiters at High-Tech Professionals will bring the right parties together for the ideal match, for permanent as well as contract hires.